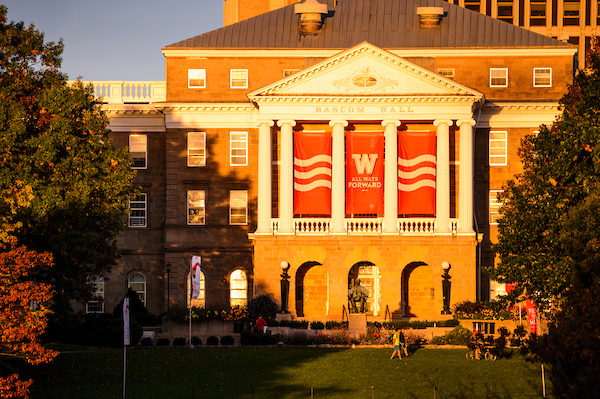 For 170 years, the UW campus has been a catalyst for social change. It is the state’s public land grant university, charged with solving real-world problems. The Wisconsin Idea – that citizens, state government and the University work together to address the issues of our day – is deeply embedded in campus culture, and throughout the state by University of Wisconsin Extension and college campuses in the UW System. The 936-acre Madison campus is a city-within-a-city of more than 43,000 students and 10,000 employees. It is blocks away from the State Capitol on the isthmus between Lake Mendota (in the Hooocąk (Ho-Chunk) language: Wąkšik homįkra, meaning “[where] the man lies”) and Lake Monona (in Hoocąk: Ciihabokiǧackera, translating to “the teepee lake”). This is Hoocąk territory, and one can find evidence of pre-European ceremonial mounds, agriculture and village sites throughout the isthmus, as well as a contemporary Hoocąk presence. A tour exploring Hoocąk territory is offered on Wednesday, and the Friday night festivities will be held in DeJope Hall (in Hoocąk, Dejope is written as Teejoop and is used to refer to the place of the four lakes, or the contemporary Madison area). In 1989, farmers and faculty established the research Center for Integrated Agricultural Systems, part of the College of Agricultural and Life Sciences. Its express purpose is to serve small and mid-size farmers and their research interests. Participatory research, community engagement, and linking farmers to campus faculty and programs is fundamental to the Center’s work. Current work includes labor relations along food supply chains, indigenous foods and food sovereignty, farm-to-institution and city-region food systems, urban agriculture school, beginning grower services and land tenure, cover cropping and perennial farming systems, agriculture of the middle, regional food transportation and small supply chain development. The Wisconsin Integrated Cropping Systems Trials (WICST) take a long-term view of sustainable cropping systems and are housed at CIAS. The Center is affiliated with the graduate degree program in Agroecology and home to the student group FH King Students for Sustainable Agriculture, and their student farm. And our more than fifty faculty associates in departments across campus. Here are a few ideas for exploring campus and the lakeshore. For many more ideas, please visit the Campus and Visitor Relations website. 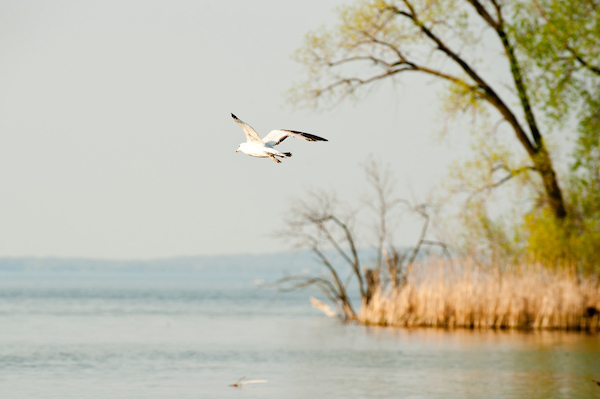 Take a walk, bicycle ride, or run along the shore of Lake Mendota on the Howard Temin Lakeshore Path. 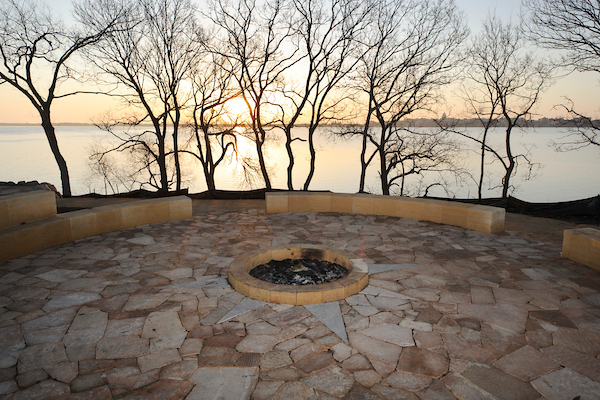 You can access the path at the Memorial Union on Langdon Street and continue west for 1.5 miles where you will reach the entrance to Picnic Point. Picnic Point is a peninsula and nature preserve for foot traffic only. You can walk or run out to the end of the point (.75 miles) for great views of Madison and campus. If you are interested in more information on the University of Wisconsin Lakeshore Nature Preserve, please visit their website. The Memorial Union, site of the Ferment! Opening Reception on June 13, is located at the corner of Park and Langdon Streets is a legendary campus hangout. 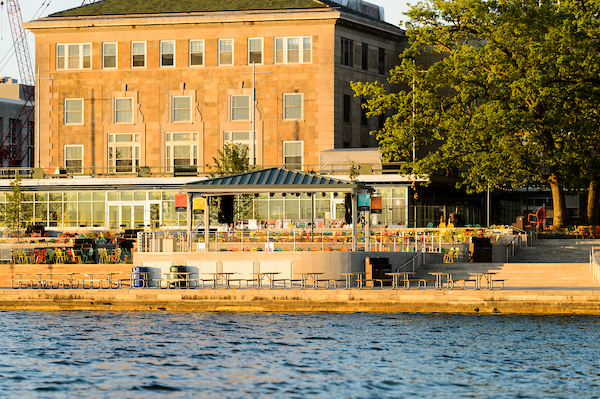 The Memorial Union Terrace on Lake Mendota offers lovely views, beautiful sunsets, and great people watching. The Union Terrace is a great place to enjoy a cold local beer or The University of Wisconsin’s famous Babcock Dairy Ice Cream. You can rent a canoe at the Memorial Union Hoofer’s Boathouse, located on the lakeshore just west of the Union Terrace. Walk up Bascom Hill (at the foot of State Street/Library Mall), and when you reach the top continue to the right along Observatory Drive through the center of campus. Continue up the next rise to Observatory Hill, and enjoy the view. Continue on west along Observatory Drive down the hill to the Allen Centennial Gardens (corner of Observatory and Babcock). Created on the 2.5-acre site of a historic Victorian home that once served as a residence for university deans, the 22 magnificent gardens represent gardening styles from around the world. For a change of scenery on your way back to State Street/Library mall/Memorial Union area, head north when you leave the Allen Gardens toward the Porter Boathouse (home of the UW Crew). Just behind the boathouse, you can pick up the Lakeshore Path (head to the right – east) back to the Memorial Union. This walk is 1.3 miles round trip. The Lakeshore Path is flat, the rest of the walk is quite hilly. The Lakeshore Path is not well lit, so use caution after dark. "UW-Madison is a community that embraces diversity - both in the people who live, learn and work here and in the experiences that enrich life in the classroom and beyond. The campus provides services and student life programs designed to meet a broad range of student needs and concerns."